Demolition work has started on the current cruise terminal 3 at Port Canaveral, Florida. The facility is being cleared to make way for a brand new hi-tech modern terminal building to expand and cater for large cruise ships. So the diggers have moved in and what was once the oldest terminal is now being demolished to make way for a new $150 Million facility which will be far more modern. 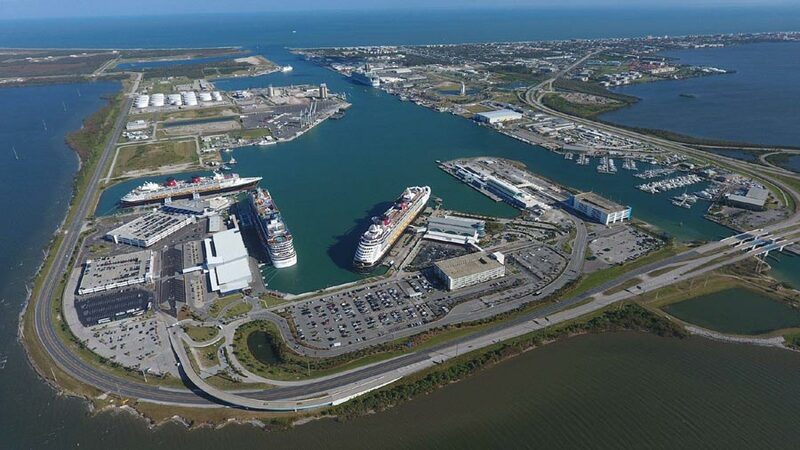 The demolition will be completed by July 2018 and then the real work begins on constructing a new cruiser terminal 3 at Port Canaveral, Florida. The new cruise terminal is just one phase of the port’s largest-ever project over a period of 20-months which will also see a new 1,800 vehicle multi-story car park, dredging, and waterside construction and the guest boarding bridges. It’s a major project which will expand the Florida cruise port even further. The new facility will be able to cater up to 6,500 cruise passengers so that will include the world’s largest cruise ships from Royal Caribbean and upcoming ships from other cruise lines if need be. The new terminal 3 will be hi-tech with modern systems for embarking and disembarking along with the latest U.S. Customs and Border Protection techniques. The development is scheduled to be completed by the end of 2019 and the beginning of 2020. Keep an eye out on Cruise Hive as we follow this new cruise facility which will impact thousands of ship passengers int he years to come. The development still has some way to go with some major construction milestones to reach.